Question time on the FM website. Post your questions and answers! Summary: It’s time again for question time — “ask the mineshaft”. In the comments post your questions about geopolitics — and post your answers to other people’s questions. This is a community exercise, from the German “Gemeinschaft” (see Wikipedia). 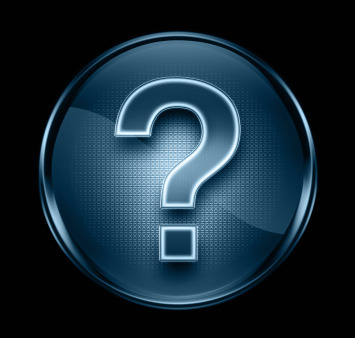 Questions are especially welcome about current geopolitical events and recent posts (which appear on the top of the right-side menu bar). Please reply to comments using the REPLY button (to keep the thread together). Is there anything positive to be heard or felt from conservatives (of any stripe)? Do you think Romney has a better chance of winning the election since his last debate? Has anyone give much thought to what a future drone v drone war might be like? Why are so many candidates unprepared for high office? Why do voters not see that as a problem? Please explain the significance of Boyd’s OODA loop. A quote from Chet Richards about Boyd. Why do people neglect the velocity of money & obsess over the quantity theory of money? 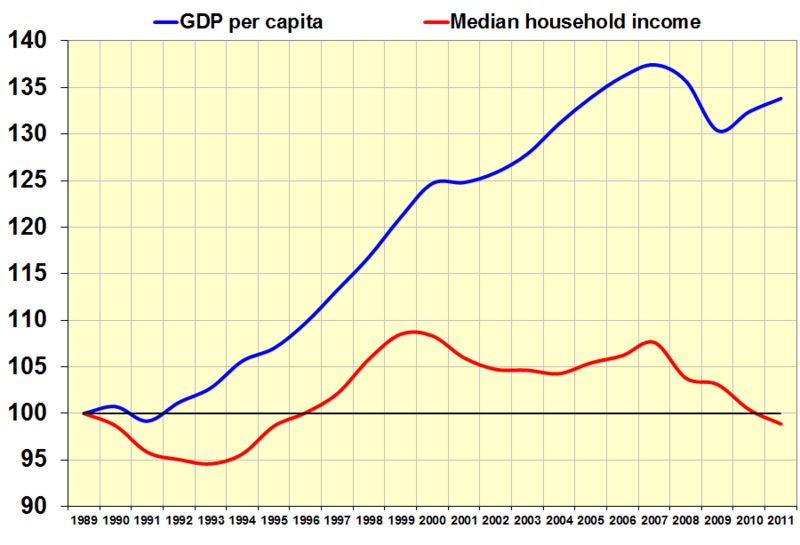 What changes are either candidate going to make that will return us to the economic prosperity of say 1997? Previous Post Ed Dolan talks to us about modern monetary theory. Can it save us? Sure, the conservative critique of America has many useful insights. But unfortunately they’ve (in aggregate) gone mad. So their valuable insights are lost amidst the delusions. I am reading William Lind’s book on Cultural Conservatism from the early 90s. Depressingly, I think the picture has become worse despite their warnings. I can’t deny that this is probably at least in part a function of the fact that my own politics are about as liberal as they come…but from my perspective, the only positive aspect to conservatism (in its sanest forms, which are sadly disappearing from this country) is that it serves as a check to change purely for the sake of change, which in itself is not automatically a good thing. You really don’t have to look very far at all — in fact, you don’t really have to look any further than your own body — in order to see that anything which remains static tends to stagnate. Change and movement are not only inevitable but indeed necessary. Change and movement make up the natural order and the fundamental guiding principle not only of the planet (from the micro level of particle physics all the way up the highest macro levels of climatology and astrophysics) but of the universe as a whole. Conservatism, by contrast, typically seeks to minimize change and movement if not bring it to a complete halt. From this premise, it could be plausibly argued that allowing conservatism to dominate society is contrary to the natural order and the fundamental guiding principle of life in this universe In fact, I believe that this may be one of the reasons why science is becoming increasingly unpopular in American conservative circles — not only because the many fields of science are making discoveries that challenge the notions which American conservatives hold so dear, but because these discoveries serve as a demonstration that allowing conservative thought to dominate society impedes the natural and inevitable process of change and growth that is fundamental to existence. This is especially true today when American conservatism appears to be increasingly motivated to block change for no other reason than habit (or perhaps sheer contrariness) — blocking change, even change which might be beneficial to a large number of people, for no other reason than because they can. One factor which may be driving this is the fact that change (and not just in the technological sense) appears to be advancing at an ever-accelerating rate. Further, it’s not hard to see that the conservative paradigm is based on one emotion more than any other…and that emotion is fear. Evidence suggests that human beings are creatures of habit, and change is frightening to us because we can seldom if ever be absolutely certain what the consequences of change will be. As the computer scientist Jan L.A. van de Snepscheut is quoted as having said, “in theory, there is no difference between theory and practice — but in practice, there is.” Fear is not altogether a bad thing, since fear (or at least caution) underpins the process which helps us maintain our own survival. An organism which lacks the capacity to experience fear (even if only on the most visceral level) is actually less likely to live as long as one which does have this capacity, since the organism which lacks fear is less likely to avoid situations which may pose a threat to its well-being. Paradoxically, it could even be argued that fear can serve as a motivation for change because one of the functions that often helps drive change is the desire to avoid or escape a situation or environment which is perceived as negative. However, when fear is allowed to dominate — and particularly when it is allowed to dominate yet at the same time not allowed healthy expression (such as when a person lacks confidence in themselves but for one reason or another cannot consciously acknowledge this lack) — it frequently produces dysfunctional if not outright pathological emotional (and sometimes even physical) manifestations. As just one example, when you really make an effort to drill down and examine what drives abuse and violence of any kind — whether at the micro level of interpersonal conflict or at the macro level of global warfare — you eventually see that fear of loss of one kind or another (power, choice, resources, etc.) is what drives violence. It doesn’t — or at least shouldn’t — take a lot of thought for a person to realize that American conservatism is increasingly being driven by the emotion of fear and that it is becoming increasingly violent as a result — verbally (relying on insult instead of debate and reasoned argument), emotional (eliminationist rhetoric, the promotion of reliance on visceral response instead of logic), and physically (the War On Terror). Steven Hawking, (among a few others) believes that when a species has reached the limit of resources on their own planet, the only logical step is to get off the planet and find more. This of course would require limiting the use of resourses used by people, so they could be used for the development and use of new technology. Imagine the amount of change it would require to make the above possible. Quite unfathomable,so the alternitive is to not think about the long term and to simply continue putting bandaids over the issues that are not prevelant at this very second, and work at holding together what you have. And what exactly is it that we have? A rather large amount of the American population with out work? why? Because people from other countries work for less money. And the sad fact is that there is not enough work to go around. So I would like to ask a question: What changes are either candidate going to make that will return us to the economic prosperity of say 1997? Conservative is a strange word to apply to those who are called that today—i.e., the Republican Party. They hardly seek to “block change”; they are the ones demanding radical changes to almost everything, including programs like Social Security, Medicare and progressive taxation that have served us reasonably well for decades. Abolish the Federal Reserve! Overturn Roe v. Wade! As far as I can see, for the past forty years it’s the so-called “conservatives” that demand reckless change, and the opposition that has been mostly reduced to trying to hold them back. The repeal of Glass-Steagall (1999 Gramm-Leach-Bliley Act) should have drawn mighty fire from conservatives… if we actually had any. NAFTA was more popular with Republicans than Democrats, although Bill Clinton saw it through. I think they are conservatives in the sense that they’re waging a counter-revolution: attempting to turn the clock back. Revolutionaries want to bring about changes new to our society. After reflecting on the points I made earlier, I think I ought to amend my statements somewhat. In retrospect, I think both conservatives and progressives are motivated by fear to at least some extent — conservatives by the fear that the world will change too much and too quickly to the point that it threatens their own security (and that of others), progressives by the fear that the world will change too little and too slowly with the result that it impedes their quest for personal freedom of expression (and that of others). Both fears are irrational to some extent…and the greater the fear, the more extreme the person’s political beliefs tend to become. In the end, however, I believe that the conservative’s fears lend themselves a little more easily to irrationality simply because the thing that they fear most is not only inevitable but necessary and the thing which they appear to desire most — security, continuity, and assurance — is in many ways illusory because there are few if any assurances or guarantees in this life. Indeed, it could be argued that the only way to maintain continuity is to retain some degree of flexibility and remain open to change — even if only because any entity that refuses to change, whether an organism or a pattern of behavior, tends to become obsolete if not extinct. The study of evolutionary biology shows that species which are highly specialized and which do not demonstrate behavioral flexibility are more vulnerable to extinction, whereas species which are more generalized tend to thrive in a wider range of environments and more likely to survive. The world will and must change whether conservatives like it or not, simply because ongoing change and growth and movement is clearly essential to the existence of our universe. However, it frequently does not change as quickly as they fear, and especially not when the changes in question are competing with hundreds or even thousands of years of tradition. Racial equality in America is a good example of this…even though the Emancipation Proclamation was signed in 1865, it took African-Americans nearly a century to achieve official equality under the law as a result of legislation (the Civil Rights Act) and judicial decisions (Loving vs. Virginia) — and unfortunately, African-Americans obviously still have a long way to go before they can legitimately claim to have bona fide equality in this society since racism (whether conscious or unconscious) is still having an impact in our society. Of course, progressives represent the flip side of this argument. Whether they like it or not, society is probably never going to change fast enough to satisfy them and they may need to be content with the knowledge that their efforts played a role in helping it move forward even if they won’t live long enough themselves to personally witness the culmination of the changes they’re promoting. At the same time, there is little reason to fear that society will never change — even if only because history has shown us time and time again that a society which cannot or will not adapt eventually ceases to exist, either because it is conquered and absorbed by another one or because it simply dies of attenuation. While the science moves along, as usual, in fits and starts, much of the Left has descended into anti-science irrationality. Scientists who disagree are branded with emotionally powerful but cognitively empty labels. It’s commonplace to see on leftist websites (eg, Brad DeLong’s) comments describing near-term events in apocalyptic terms that have no basis in the scientific litature, which further fuels their irrational rage. Note that the response to this on the right, again speaking of the lay public (not scientists) has been increasingly to mirror their anti-science irrationality. Look at the evolution of comments on Watts Up With That, and the now commonplace insults accusing prominent scientists and instutions of all manner of crimes — both moral and legal. That’s a question for experts, so we turn to the academics at The Monkey Cage, who say “no” — it (like most presidential debates) had little effect. See these by John Sides (Assoc Prof Political Science, George Washington U). The remaining undecided voters are mostly “low-information” voters. They are not the sort to watch debates or read about the analysis by political junkies of debates. For a colorful and partisan but insightful commentary about the election: “VP Debate 2012: The Real Paul Ryan Is Bad for America“, Charles P. Pierce, Esquire, 12 October 2012. Now that’s an interesting thought! The first intensive use of airplanes for military purposes was in early 1915, but from the start of the war aircraft engaged in combat with each other (Russian pilot Pyotr Nesterov rammed an Austrian reconnaissance on 8 September 1914 by in Galicia; both crews died). Will drones become one of the major defensive means against drones? Does anyone know of any articles discussing this? I’m expecting there to be some rapid evolution but generally drone war may become a weapon of privilege. As we’ve already seen, Israel is not about to tolerate an Iranian-made drone being launched into their airspace by Hezbollah without a great deal of saber-rattling. If that happens again, look for some ferocious retaliation from the Israelis. In other words, I expect that the technological evolution of drones will become mostly irrelevant because it will be eclipsed by other areas in warfare where strategic asymmetry is so large that the tactical advantages of drones are effectively moot except for to superpowers. Most of us have been surprised at the length of time that Predator drones have been allowed to rule the skies. They’re too expensive and would be easy to sweep from the skies with the right gear, but their “daddies” would doubtless respond with high explosive, liberally applied. And nobody is willing to deal with that, yet. Nowadays, in normal life, people cannot make any career without having to bolster their moves with track records, proof of experience, references, and certifications. When it comes to the highest offices in the USA (president and vice-president), what is astounding is the sheer lack of competence or experience in executive positions exhibited by major candidates. Hillary Clinton, Paul Ryan, Joe Biden (in 2008), Barack Obama (in 2008), John McCain, have or had zero experience with executive responsibilities. George Bush was governor with very limited powers and responsibilities, Sarah Palin in an insignificant state (and she did not even finish her mandate, as she was largely considered to fail at her job). Only Mitt Romney had 4 years experience as governor in a significant state. In contrast, in many Western countries a “required” step towards top offices (minister or president) is at least to have been mayor of a city. How come so many candidates are so unprepared, and how come voters do not see any problems with that? That’s a great question, and goes to the heart of the dying American Republic. It’s weakest component: us. What should we expect from President Obama? It seems evident why the typical candidate for high office today is so unprepared. Governing creates enemies and leaves a track record. The most effective candidates for high office today are people with no enemies and no track record. Therefore, logically, we would expect people devoid of experience to dominate the presidential election cycles. Barack Obama offers a perfect example. He’s a void, a perfect blank, with essentially no experience in governing at all prior to his presidential run — thus, he can morph into whatever people desire him to me merely by giving eloquent speeches. So we get he bizarre spectacle of Obama eloquently speechifying in favor of freedom wh iel he imprisons and tortures Private Bradley Manning for the heinous act of revealing American war crimes to the world. Obama thunders in speeches against the repression of the dictatorial regimes of the middle east, while he gives the go-ahead for DHS crackdowns using military weaponry against non-violent Occupy demonstrators. And because of this peculiar quality of emptiness, of a lack of a significant past doing anything int he public arena, the electorate can project onto Obama whatever they wish him to be, the better to fulfill their cherished fantasies. Romney’s great disadvantage is that he has a track record, both in business and as a governor. Obama is now using this track record against Romney to great effect. Meanwhile, all efforts to point to Obama’s track record as president get shouted down by liberals as “firebagging” and “purity trolling” and so on. The 1979 Peter Sellers movie Being There proved truly prescient. Chance the gardener is our ideal president, since he has no beliefs or desires of his own, and we can project onto him any imagined qualities we wish. 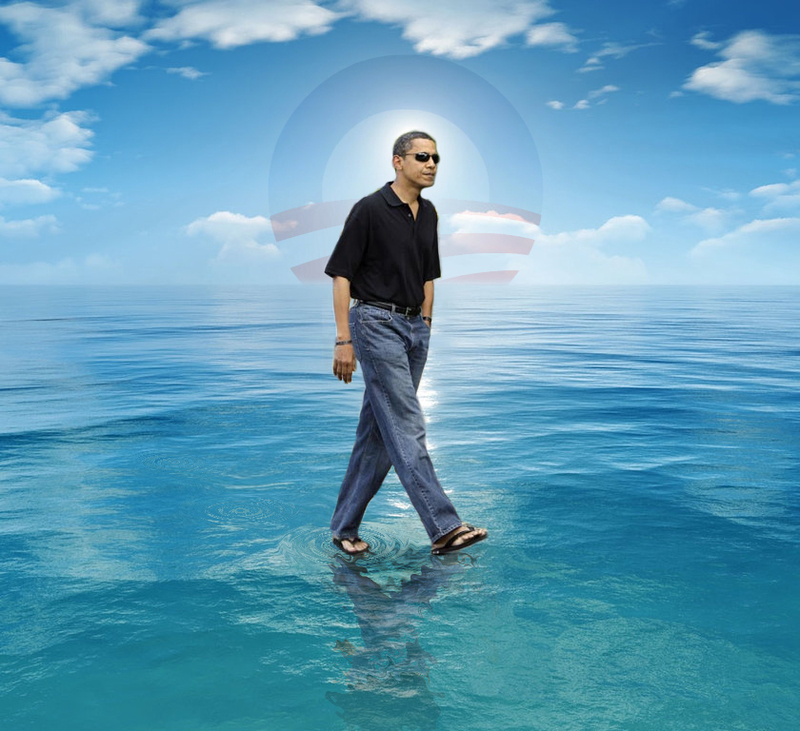 But can Obama walk on water? could you explain OODA loops/ conceptual spiral / Boyd’s importance to a child? similar to when the business owner asks his engineer to explain it to him like he is talking to a golden retriever. I am reading Chet’s paper “boyd_cs_meaning_of_life.pdf” right now, and have read other books on Boyd and his concept’s significance elude me still. there are sparkles of insight and then it fades –for me. So please, explain it to me like you would a child. It feels like I am missing some grand idea that only Chuck Spinney, Chet Richards, and few others truly understand. Yet their writing seems like his concepts are so obvious to them, they do not need to explain it to the uninitiated/dumb like me. nevermind, Chet Richards is getting into this point on page 9 : “John Boyd, Conceptual Spiral, and the meaning of life“, 12 October 2012. Whenever I tell people about John Boyd, the only story that has any traction is that of the fighter pilots in the Korean war, where the slower American jets with the bubbly canopy were able to outcompete the faster more agile MiGs with less visibility. For a great introduction to the concept of OODA loops — and how to use them — see “Boyd’s Real OODA Loop” by Chet Richards. It will be time well-spent, useful for everybody! is the fact that Boyd is a ‘big deal’ self evident through his lectures and concepts? In terms of impact of this theories, my guess is “no”. Unfortunately. George Mendel’s work on genetics could have had a large impact, if better communicated to others. Charles Babbage’s analytical machine might have changed our history, if he had finished it. Boyd’s work might have done both, if he had published it in more developed form in high-profile publications. History consists of many “what if” lost opportunities. See the Wikipedia entry on Babbage’s analytical engine. It was never completed; only fragments remain. There is a team raising funds in the UK to build it. With more than 40,000 moving parts, nearly five metres long, they estimate it will cost £400,000 to build. I had wondered that myself for some time so I will tell you a story. A very kind retired Marine officer sent me about 12 hours of tape recordings that were converted to CD’s of Boyd himself describing his theories. I can not emphasize this enough that it was Boyd himself giving a lecture to a group of senior Marine officers….it was his words and expressions not what somebody else said he meant but Boyd’s own words and language (pretty tough talker). Boyd did not believe in making bad situations better he believed in making them worse and he says that on the CD’s! That was a real eye opener for me. Our military spends all there time trying to make situations better or more stable when Boyd would do exactly the opposite! He would make things worse until the enemy quit or simply could not function. He does talk about faster OODA loops but the main thing is to mess up the other guys OODA loop….lie and decieve, warp the perceptions,show false images to the enemy and warp his input and it will slow him down as opposed to just making yourself faster.In other words it is more important to “trip “your enemy than simply outrun him. At least that is the conclusion I am came to. He also believed in a lot more use of violence against the enemy than is often portrayed. I’m a fan of Boyd’s thinking, ever since I stumbled across him in Coram’s book. It was by way of Boyd that I encountered Chuck Spinney, for which I am thankful. Boyd’s view of strategy and his clarification of the OODA loop is interesting stuff, but I think it ignores a lot of really important and obvious things because it amounts to a set of simplifications intended to clarify the response-pattern of a very smart, very fast thinker in a particular problem-domain of warfare. To a certain extent fighter pilot tactics generalize (in the same sense that a brilliant light cavalry commander could generalize some aspects of airmobile operations based on immediate creative application of the concept of “helicopter”) but there are a lot of parts that do not (energy maneuver, variable wing geometry, etc) Thus we can look at the generalizations someone like Boyd produces and see those deeper strategic patterns and be inspired by them. But that’s about it. I’m not being dismissive – it’s quite a lot, but it’s also metaphor and reasoning by analogy and therefore it’s less accurate than the kind of conversation two experts in the field can have, using the field’s own terms of art. There is often a great deal of “mental waste” that occurs in the translation of terminology, and each of those translations includes the slight chance of a misunderstanding. So, Boyd generalized the strategy and tactics from his field of expertise and came up with an interesting way of illustrating some successful techniques for thinking about strategic and tactical problems. If we read Sun Tzu carefully, we see the same thing, though I think Sun Tzu’s presentation is clearer because it doesn’t rest its foundation on a clever “trick” for forcing the reader to re-assess their existing knowledge. Because, to me, that’s what Boyd is doing – he’s systematizing a bunch of ideas that one could also extract from Go Rin No Sho, or Sun Tzu, or Jomini, or Von Mellenthin. I repeat myself again: what Boyd did is no mean accomplishment. Any more than what Musashi wrote was just another book about how to use a pair of swords. It depends on what is most accessible to a given reader, and Boyd’s almost ptolemaic view gets a great deal of attention in the US Military, which makes sense given that the US is a country fond of “Seven Habits of Highly Effective People” and 10-step programmes and other get-rich quick schemes. It is my opinion that the vast majority of people who talk about OODA loops are too busy looking at the mechanism and metaphor and fail completely to understand that it’s not a strategic method, nor is it a method for generating strategies or understanding your own – it’s a way of discussion strategy possibly across intellectual chasms – (but you first have to pay the cost on both sides of the chasm to establish that common language. One could teach Napoleon Bonaparte to talk about OODA loops and he’d be able to communicate effectively about Austerlitz with Oda Nobunaga. But – so what? Oda Nobunaga would have understood what Bonaparte did at Austerlitz within minutes of seeing a phase-map of the battle. Would the vocabulary of OODA loops have made Bonaparte a better commander? Probably not, but it would have given him a good tool to explain what he did wrong at Waterloo. When I was a teen-ager (and studying kendo and iaido) I read Musashi, of course, at about the same time that some shallow-minded wanna-be had recontextualized Go Rin No Sho as a book for businessmen. Yes, there are some useful elements of abstract strategy that you can extract from that book. But it’s inefficient to do the extra layer of language translation to make it work, when there is already plentiful wise and useful material written in the language of business. (I suspect Nobunaga would be unimpressed if you threw Harvard Business School classes at him and expected him to re-metaphorize “buy low, sell high” as a strategic doctrine) This is why I consider Sun Tzu to be the great writer of “strategic platitudes” – his aphorisms are so pithy and true that they’re about as useful as “buy low, sell high” and “an army moves on its stomach”, etc. This is why I think Boyd is less interesting than many of his proponents do – if you already understand the problems he’s talking about, deeply, then it’s a useful framework for talking about the problem with other people who are at or close to your level of expertise. If Musashi had a peer he cared to discuss swordplay with, they could have used the language of Musashi’s book, or would have established a translation layer based on the language(s) of ryus that were popular at that time, just as Nobunaga and Bonaparte would have had to spend an hour back-filling eachother’s knowledge-bases before they could usefully talk about Nagashino or the final phase of Waterloo. But they’d understand eachother quickly and thoroughly after that. When I was a kendo-loving kid I was reading Musashi at about the same time as Sun Tzu and realized that there’s no magic in these ideas – it’s that the ideas come from people who are trying to establish these translation layers for others. Whenever I think of this I am reminded of the wonderful scene with Bruce Lee as teacher in the beginning of Enter The Dragon, “Consider a finger pointing at the moon” he tells the student, who proceeds to stare intently at Lee’s finger. And this is why I don’t see OODA loops as anything special. You can reduce them to military platitudes like “take the initiative” and “control your opponent’s timing by controlling your own” etc. If you’ve taken the time to establish a higher level of expertise then you can extract similarities in Boyd’s work with other strategic thinkers’ work and those similarities will be useful and familiar to you if you let them be. But reading Boyd is no more going to make you a great strategist than reading Musashi will. Here’s the thing about Boyd – he sounds like he was surreally fast at assessing what was going on around him at jet-combat speeds, figuring out what options were open to him, and selecting the best one. Musashi was like that with a sword, too – pure magic at high speeds. Michael Jordan was like that with a basketball, too. All of these guys worked in fields where the person who assembled their strategy fastest dominated the rythm and timing of the battlefield around them. That doesn’t mean that they (probably not even Boyd) used OODA loops; it’s that OODA loops can be used to describe what they did. Consider a finger, pointing at the moon. A thousand times yes! I’d never thought I’d live to see the day where a DBA understood that the language of one domain does not easily translate over to another. More evidence we’re headed towards the crucial inflection point. This lack of analytical thinking seems to be prevalent at all levels of our society, *especially* business. I’m surprised the rest of the world hasn’t eaten our lunch yet. When I’ve explained my interpretation of Boyd’s thoughts in the past to people without much of a background with the military, I tended to fall back on sports analogies. Wayne Gretzky wasn’t the biggest or fastest or hardest shooting player, but he was the best because he knew where everyone was on the ice and where everyone was going, or as he said he skated to where the puck was going, not where it was. It’s Peyton Manning knowing at a glance what the defense is doing and how to pick it apart, and being able to. I could go on with these forever, but it’s the combination of talent, practice and focus to build the necessary base which allows someone to dictate tempo, either by changing his or using his opponents’ against him. Boyd comes in by stripping away the “I’m not Gretzky” excuse. If you can identify something, break it down and study it, you can practice it, measure it and improve it. (I don’t like this sentence, but I’m not sure how else to explain it) It’s a model to examine your decision making with all the inherent biases from history, environment, culture etc. The analogy doesn’t necessarily scale and it doesn’t cover the breadth of Boyd, but I think it conveys the basic idea rather well. (I think you could make similar analogies in other disciplines, be it music or firefighting or even arguments as long as a time component is present) Hope this is helpful for someone, I have thoughts like these rattling around and I’m never sure if they make sense to anyone not me. On the CD’s I listened to of Boyd speaking he talks about the M&M strategy a lot. So here is a link to an article where the M&M Strategy was used by Obama to win the election. Chuck Spinney captures Boyd very well . Again just my opinion but the OODA loop is a very small portion of the Boyd Philosophy. Considering the last few posts have been about monetary policy and theory, the topic of inflation always rears its head in the comments. Why do people always neglect the velocity of money and obsess over the quantity theory of money? Very few people have any idea what those terms mean (including many of the amateurs who write about inflation). Boomers expect inflation always because they grew up during the Great Inflation, and this influence them as the Great Depression did their parents. Furthermore, inflation is an economic problem whose solution they know — and they await it as anyone awaits an opportunity for certain profits. Few agree with my forecast of chronic deflation. They’ve never seen anything but inflation in their business careers or lifetimes, so they think that’s the way God made the world. Few can remember much about the 1930s, the last time deflation reigned. Furthermore, we all tend to have inflation biases. When we pay higher prices, it’s because of the inflation devil himself, but lower prices are a result of our smart shopping and bargaining skills. Furthermore, we don’t calculate the quality-adjusted price declines that result from technological improvements in many big-ticket purchases. This is especially true since many of those items, like TVs, are bought so infrequently that we have no idea what we paid for the last one. But we sure remember the cost of gasoline on the last fill-up a week ago. If the Wikipedia article is correct then the velocity of money is, in practice, computed from measures of the domestic product and the money supply. 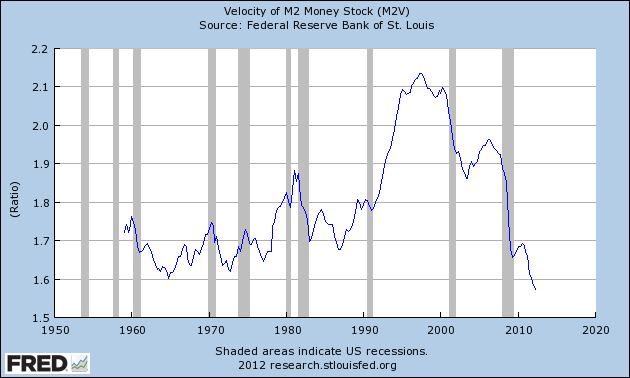 Since getting a number for the velocity of money requires those two values, unless it either tends to stay constant (clearly not the case based on the chart Fabius showed us) or has some predictable relationship to some other variable that’s more easily measured or understood, it would seem that introducing it wouldn’t tell us anything over and above those two more widely known measures. Then there is the point that we need “money supply” to compute “velocity of money,” and there are several concepts of “money supply”; I gather that there is some reasonable doubt as to whether the “quantity of money” that actually counts in a modern financial system is even knowable in any practical sense. Is there some use of “velocity of money” that simplifies theory as compared to using national product and money supply? Does it have a “predictability” that is superior to those measures? Unless you’re writing a PhD thesis, you’re obsessing far too much over this, far beyond the point at which you’ll find any useful insights. It is a measure of the velocity of money. You might as well deeply contemplate the meaning of velocity (ie, speed). And you’re far beyond the scope of a website about geopolitics. If you want to go that deep, go so one of the many websites by fine university economists. I would venture to suggest that the answer to Hoyticus’ question is that most people have no idea what the velocity of money is, since most people know essentially nothing about economics. Most people cannot explain the different twixt real and nominal rates of interest, the definition of monopsony as opposed to monopoly, or the meaning of the J curve in a country’s trade balance after a devaluation in its currency. It’s ironic that the American electorate is called up nowadays to make crucial decisions about candidates based on their economic policies, while the electorate has in effect no real knowledge of economics whatsoever. Noted both here and in recent comment threads is that the average citizen knows little about economics. In fact, most of us know little about most things; it’s a life’s challenge to become really good at just one thing, and perhaps marginally competent at a few more. Alas, research in psychology tells us that typically the less we know about something, the more likely we are to underestimate the extent of our ignorance (see Wikipedia entry for the Dunning–Kruger effect). How can democracy deal with that in an increasingly complex world, where nearly every matter of public policy has ramifications that can be appreciated only by those with facility in at least one, if not several, areas of study? One road, of course, is to be ruled by experts-for-hire, bought by those who have the resources to do so, who then market their political surrogates in competition for ratification by the bewildered herd. I think there can be little argument that this at least roughly describes our present condition. What alternatives might there be (given that a race of superhuman citizens, half of whom could hope to truly understand even half the issues that confront us, is not likely to be forthcoming)? The big problem in the US is growing inequality of wealth and income. Neither candidate has a problem with that, as the people benefiting from this fund both candidates.